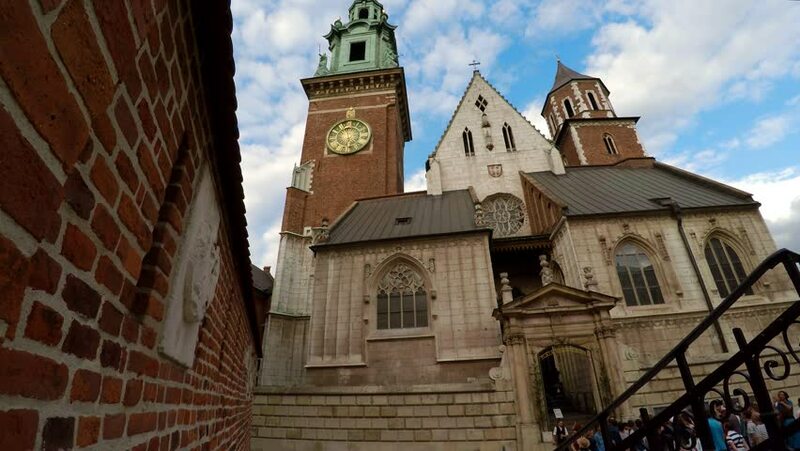 hd00:16The swallows fly around the tall Gothic bell towers of St Mary Basilica with a dark blue evening sky on background, Krakow, Poland. 4k00:15Vajdahunyad Castle, Budapest, Hungary. It was built in 1896 as part of the Millennial Exhibition.